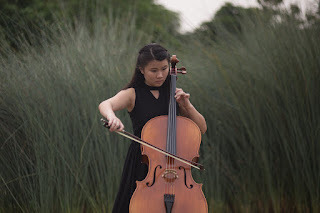 Eunice was interested in learning the cello since she was 12 and has attained Distinction for both her grade 5 and grade 8 ABRSM cello examination. She also plays the piano and was awarded distinction for her grade 8 ABRSM piano. She entered Nanyang Academy of Fine Arts in 2012, to pursue her diploma in cello performance, under the tutelage SSO cellist, Zhao Yu Er. She has graduated from Nanyang Academy of Fine Arts with Diploma in Music in May 2015 and Bachelor of Music with Honours in May 2017 with Nanyang Academy of Fine Arts, in collaboration with Royal College of Music, London. She regularly performs solo and chamber works in the Lee Foundation Theatre, NAFA as well as in the local music scene. Eunice was part of the Singapore Youth Chinese Orchestra from 2007 to 2011. She was also the president and student conductor of Dunman Secondary school string orchestra. An active member of various chamber groups and Orchestras of different genres in the music scene. She has performed with groups such as NAFA orchestra, Singapore Lyric Opera, The Philharmonic Orchestra, Re: mix, Orchestra of the Music Makers, etc. She is also a member of a local Chinese music quintet, Stringwerkz as well as a member of the Singapore Pocket Opera Theatre. Eunice is also passionate in teaching music as she strongly believes that it is a joy to learn and make music, hence she takes pride in sharing it with people around her and the younger generation. A versatile and active cellist of the musical scene, Eunice believes in maintaining intensive chamber music activities and performing with different musical genres to cultivate musical culture locally and internationally. She hopes to be able to share her musical experience and grow with the local music scene.